NEARLY HALF OF people in Ireland would prefer a general election in early 2016, according to a new poll. 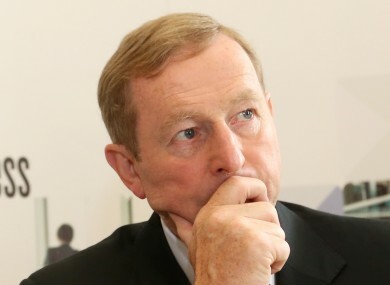 The poll of more than 1,000 people was carried out earlier this week and will provide interesting guidance for Taoiseach Enda Kenny as he considers whether to call an early election. Publicly, Kenny, who has sole responsibility when it comes to calling an election, has indicated several times that it will take place in early 2016. But there has been ongoing speculation that an early snap election is in the offing. Speaking today, Health Minister Leo Varadkar said the election won’t be in six weeks’ time and said he was “fairly certain” it will take place next year. “That’s the plan that the government would complete it’s term,” the Fine Gael TD told reporters at his party’s think-in in Limerick. The Amárach poll asked participants: Do you think there should be a General Election before the end of 2015 or early in 2016? 46% favoured an election in early 2016. 6% said they didn’t know. Most political observers believe that if there is to be a general election before the end of the year it will be called right after the Budget in the middle of October and be held in November. The government would hope to capitalise on a feel-good factor among the voters after a generous Budget announcement that is likely to include tax cuts and spending increases of up to €1.5 billion. However, Tánaiste and Labour leader Joan Burton has expressed a clear view that her preference would be for an election in 2016, due primarily to her party’s poor showing in current opinion polls. If Kenny were to go to the country before the end of the year it would be against the wishes of Fine Gael’s coalition partners. Support for an election in early 2016 is stronger than support for one before the end of this year among men and women, of all ages, in all social classes, and in all regions. Broken down by age group the strongest support for a 2016 election is among those 55 and over (53%) while 35% of those between 35 and 44 favour an election before the end of the year. The poll was conducted today by Amárach Research. The survey panel comprises more than 1,000 adults who all own a smartphone. More details here. Read: Should the government call a cheeky election right now? Email “A lot of people don't want a general election until NEXT year”. Feedback on “A lot of people don't want a general election until NEXT year”.